Let your service advisor know if you are experiencing any of these things. Driving with insufficient oil can badly damage your engine. And it can do it quickly. Our trained technician will check to find the source of the leak. 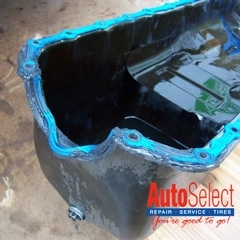 It may just be a gasket, but it also could be the oil pan is damaged and needs replacing as well.